The United States first began taking a nationwide census in 1790 and has continued to do so every 10 years since, for 220 years worth of population data. 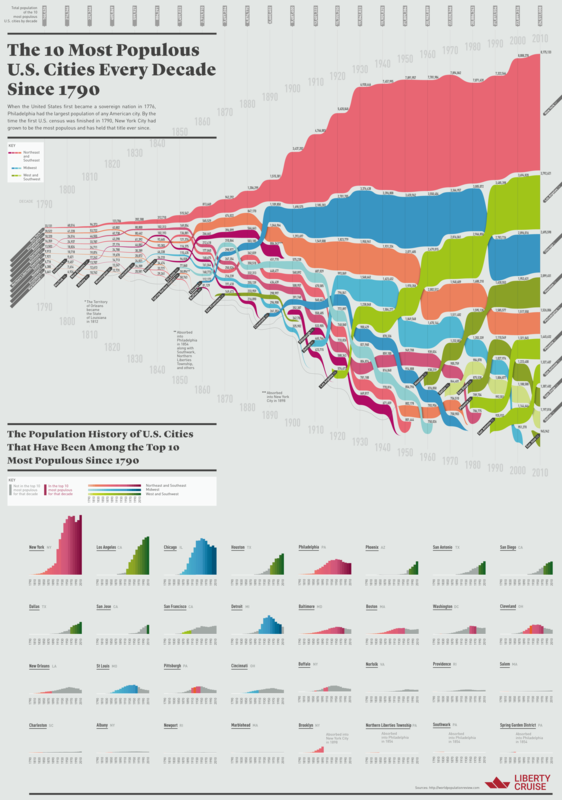 This infographic by Liberty Cruise NYC explores the top ten cities that ranked for most populous during each census. The numbers tell a story of a shift in the population as more Americans started moving west in search of land and new opportunities.